Overtime, collagen deteriorates in the skin. This is normal, and no matter how many preventative measures we take—sunscreen or hydration, for example—some elasticity and volume will inevitably be lost as we age. There are many options to help improve the look and feel of skin. Enter the Soft Lift–a non-invasive, surgery-free combination of Juvederm and Botox that lifts and “plumps” your face in all the right areas for a gorgeous and natural rejuvenation. Collagen breaks down, allowing for crow’s feet and sunken cheeks. The Soft Lift combination allows for desired youthful plumpness to return through Juvederm, and tired lines and wrinkles to tighten up with carefully placed Botox. 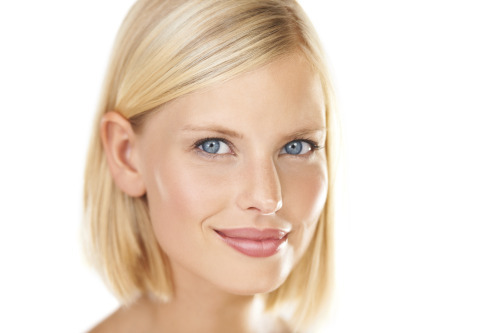 The combination of Juvederm and Botox gives the natural lift and improvement we crave from facial rejuvenation. This should be no surprise–Botox and Juverderm use organically derived substances to plump and tighten the skin: Hyaluronic acid in Juvederm activates collagen production and draws in hydration to give our skin the optimal “full” look. Botox freezes muscle activity in the face that forms and reveals wrinkles, and is effective and long lasting. Neither Botox nor Juverderm are permanent, which is a great way to improve your face’s fullness without feeling committed to one plan. Non-surgical, non-invasive treatments are key to feeling comfortable improving your skin’s health, inside and out. Great skin and confidence is just around the corner. Consider a carefully curated skin treatment to bring back youth that you and your skin deserve! Combining treatments allows for your natural beauty to shine through. Britannia Dermedics’ Soft Lift approach combines Botox and Juvederm treatments to highlight your exact areas of desired rejuvenation and put more life into your beautiful skin. Reduce wrinkles and combat texture changes. Changes develop over time from sun damage, dehydration, and the process of aging. Aging is inevitable–beauty is always possible. Counteract droopiness of the skin by combating collagen loss and tightening areas that may have fallen over time. Show brighter eyes and do your smile justice. Botox will lift your eyes, brightening your whole face. Re-inflate your cheeks, lips, jawline and more by putting volume back into your skin. Juvederm stimulates collagen production in the skin and returns the desired area back to a plump, healthy, and youthful place. Juvederm utilises hyaluronic acid to stimulate collagen production and bring youth back to aging skin. Soft lift is customizable to your age group, desires, and skin type. Whether you are in your 30s, 40s, 50s, 60s or on, Britannia Dermedics is able to customise a treatment for your personal areas of need,your skin tone, and your skin type. Britannia Dermedics is a personal experience meant to perfectly meet your needs. Topical lip plumping products are irritants employed to increase the appearance of your lips. Blood flow is increased, and temporarily larger lips appear as more blood is pumped to the area, producing swollen lips and mild redness that accentuate the best parts of your natural lip shape. These lip plumpers can work for a few hours, but overuse may be irritating. Using anything that irritates the skin–in this case, on purpose–can lead to unwanted dryness if used extensively. In the form of a lip gloss, these plumpers have varying levels of effectiveness related to their ingredients and your skin’s reception. As we know, hyaluronic acid is a key feature of “plumping”. Hyaluronic acid may be employed in a lip plumper to stimulate collagen production as well as draw in and trap moisture to improve the appearance of healthy, more voluptuous lips.